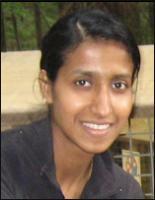 Rekha Krishnan joined the Beedie School of Business in September 2005 from the University of Tilburg in the Netherlands. Her dissertation, which examined trust and alliance performance, won the prestigious Richard Farmer Best Dissertation Award. An Associate Professor in international business, Rekha focuses on the nature and consequences of interorganizational network dynamics and on the unintended consequences of status based stratification of markets. Originally from India, Rekha finds Vancouver’s beautiful landscape an inspiration for her poetry, which has been published in Indian English language newspapers. Inter-organizational networks, Social Movement, Research Methods (Meta-analysis).